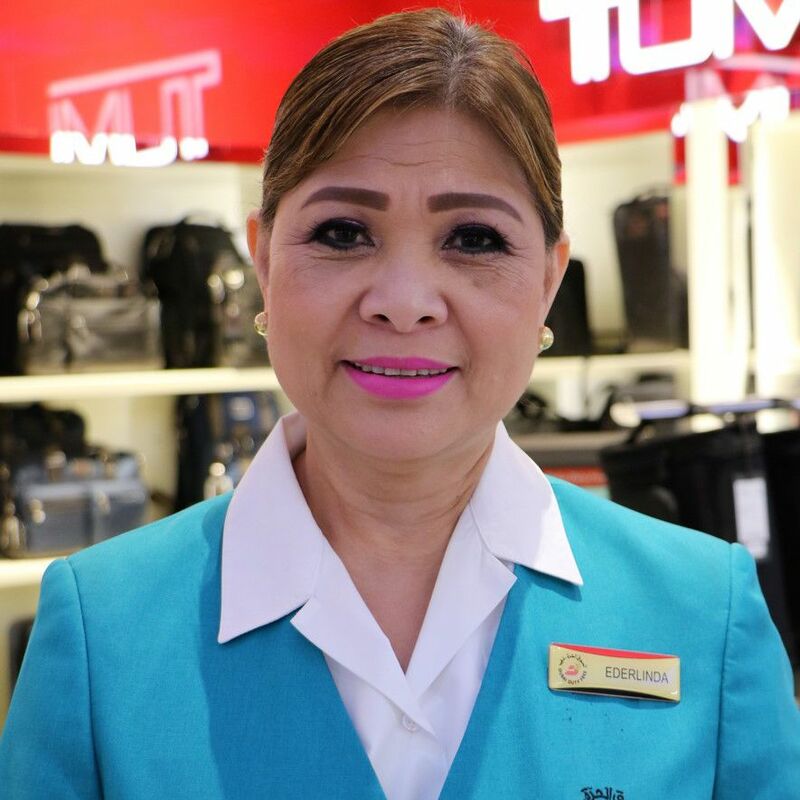 Ederlinda Elbambuena has worked at Dubai Duty Free for more than 30 years, in which time she has developed excellent sales skills which she combines with core tenets of fairness, professionalism and respect. Employer’s comments: Ederlinda Elbambuena is from the City of Manila, Philippines. Throughout her career with the company, she has been assigned in all areas as a sales assistant. She was selected as a beauty advisor for famous beauty houses such as Guerlain, Estée Lauder and Loewe. She is currently assigned to the Concourse D fashion shop. Ederlinda always adopts a customer first policy and loves building a rapport with her customers. She has extensive product knowledge and very good selling skills, both of which have helped her to achieve her sales budget. She treats all customers fairly and respects different nationalities. She is patient and able to handle difficult customers in a professional manner. She is the kind of person who always encourages other people to be mature and responsible. She advises her colleagues, especially those who have newly joined, to observe and obey company rules and regulations, and show respect to everyone in the company. She received three commendations in 2018 for exemplary customer service. Ederlinda's comments: “I always believe in treating my customers with respect at all times. Furthermore, providing good customer service will result in a very memorable experience. “I impart my product knowledge – which I have gained in my 30 years of retail service – to my colleagues, especially to those staff who have just joined Dubai Duty Free and who are assigned to work side by side with me in one shop.